Yes, You Can Because We Buy Houses Quickly. We Are Locally Based Cash House Buyers. We buy houses in Tempe and surrounding areas like Phoenix, Gilbert, and more… in As-Is condition. Our quick house buying process takes a lot of the stress out of selling your house. You will not be asked to do any repairs or painting or even cleaning. Because our team will take care of any fixing that is needed. Since we can pay with All-Cash, you’ll avoid waiting for financing approval or having your closing held up by a bank at the last moment. 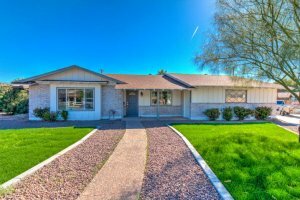 Want To Sell My House Fast In Tempe, AZ? We help people who are in tough situations, such as death of a family member, foreclosure, divorce, difficult rental property, unaffordable repairs, and many others. We can help people by buying their Tempe property at a fair price and using all cash. Many people who call us are just too busy to prepare their property to be for sale on the market. If that sounds like you, then let us know and we’ll give you a fair all cash offer. So you can sell my house fast. If your property has become a burden, then you can sell it without the long wait time and expense of selling it the traditional way. Let us know about the property and we’ll give you a fair all cash offer. We can take some of the burdens off your shoulders. Give us a call today at 480-800-CASH.